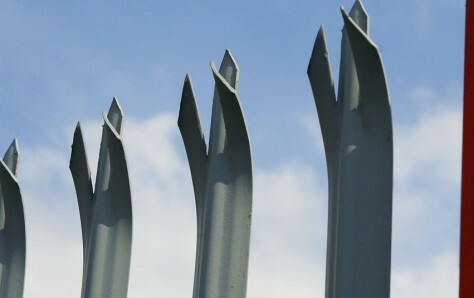 Palisade fencing is the UK’s most popular fencing for locations requiring security and vandal resistance. The flexible build system allows for contoured terrain to be fenced without the need for detailed pre-planning. Generally supplied hot dip galvanised to BS729 which gives long term weather resistance. This fencing can also be powder coated in the RAL colour of your choice. Available in standard heights from 1.8-3.0m or alternatively the panels can be sized to your requirements.